Making grids “smart” requires effort which impinges on different areas of knowledge, from power system, power electronics, measurement, control and automation technologies through ICT and cyber security to marketing, social science and business aspects. The skill profiles of the positions to be filled in energy companies are changing, with power providers that are now for example focusing on recruiting graduates with ICT skills rather than graduates that understand power production. RESERVE aware of this need for professionals with new skills to manage RES-based energy networks and this is the reason why we developed the interdisciplinary training course “Challenges and solutions in Future Power Network”. 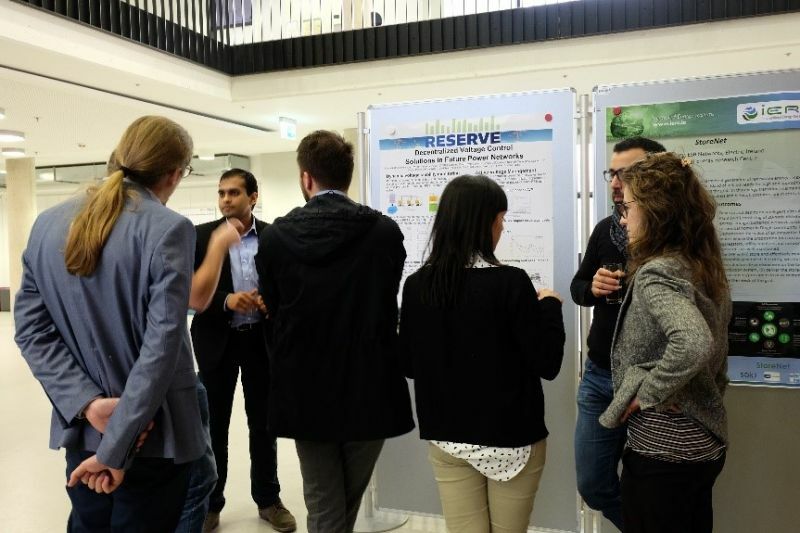 The course took place on the 11-15 of March 2019 at the RWTH Aachen University. Target audience of the course were energy system and business professionals, as well as power system engineers and doctoral students in the field of power engineering, automation, control for energy system or ICT for energy systems. The topics covered during the course addressed the main challenges when it comes to building future power networks with a high share of renewable energy sources, and presented the solutions developed within RESERVE. 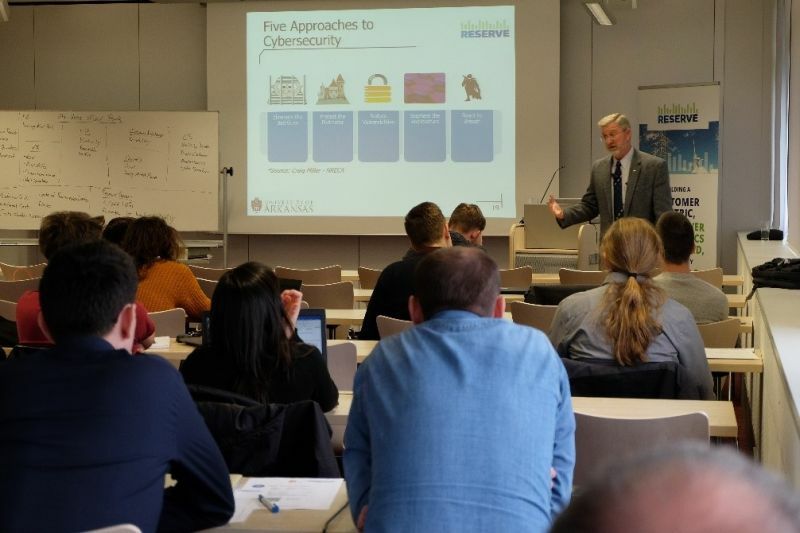 These challenges include issues such as frequency and voltage control, cyber security and ICT aspects as well as the need for a set of new network codes and ancillary services. The 5-days course was organised into two parts: during the first two days it was given an overview of the main topics and actual problems to be addressed by the industry and ICT professionals, while the last three days focused on the related technical insight, giving especially the doctoral students and the researchers the possibility to deepen their knowledge by participating to several workshops and lab exercises on all the related subjects. During the course the participants had the possibility to widen their knowledge getting an insight from academic and industry sector expert on the most innovative energy and ICT solutions developed for a power network with up to 100% RES integration. 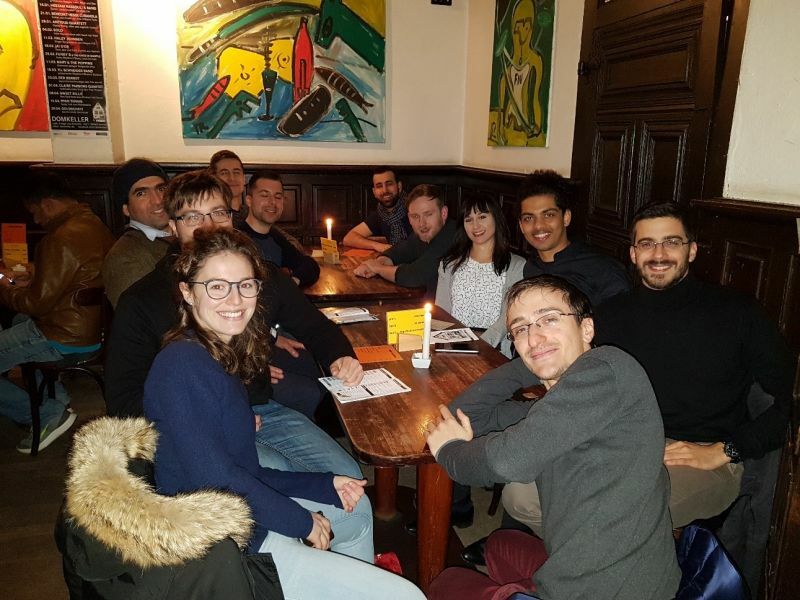 Furthermore, during the networking dinner on the first day they had the possibility to present a poster and pitch their more significant research results, discuss their interests, and build in this way new friendships and a professional network. 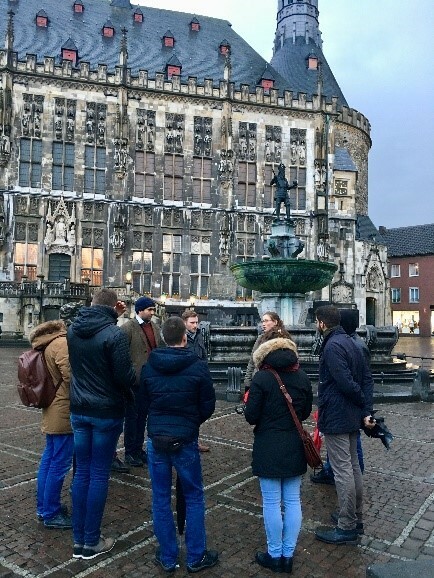 On the second day the course participants could visit the lab premises at E.ON Energy Center and on the third day an informal get together consisting in a tour of the city of Aachen and an evening in a typical pub was organised to favor the socialisation between the participants. Last but not least, a certificate of attendance was released by the RWTH Aachen University by passing an exam at the end of the course. Keep up with trends: Get an insight on the most innovative energy and ICT solutions developed to enable up to 100% RES integration in the energy system and on the cyber security challenges involved. Get ground-breaking ideas: Become innovative business ideas that will help you to push your company forward. Strengthen your company: Meet young and motivated talents that can join you and contribute to the success of your company. Broaden your knowledge: Get an insight on the most innovative energy and ICT solutions developed to enable 100% RES integration in the energy system and on the cyber security challenges involved. Improve your CV: Obtain a certificate which will add an extra value to your CV. Meet the experts: Attend keynote presentations from leading ICT and energy sector organisations representatives and recognised academic professors. Build your professional network: Take professional development opportunities during the “academia meets industry” evening session, where you can network with the industry representatives about your research and interests. below you will find some hotels in Aachen. If you need any other addresses have a look at the tourist information Aachen, hrs or booking.com/Aachen-hotels. Gästehaus (48 €/ Night - breakfirst incl.)" 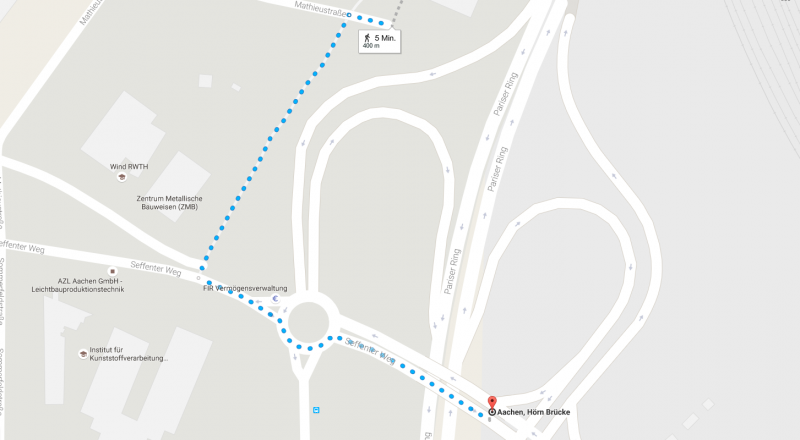 Hotel Baccara (68 €/ Night - breakfirst incl)"